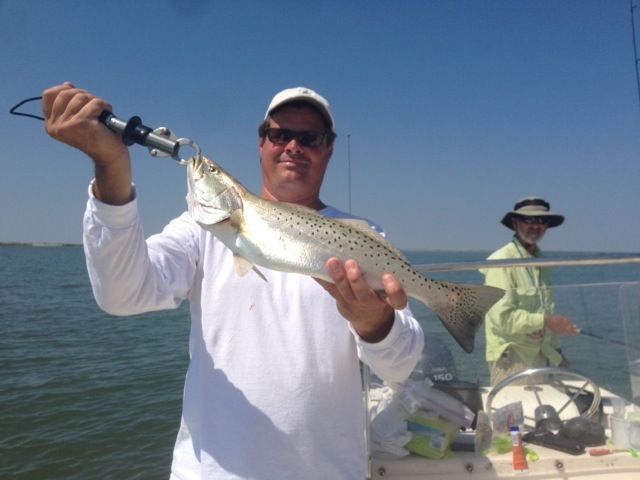 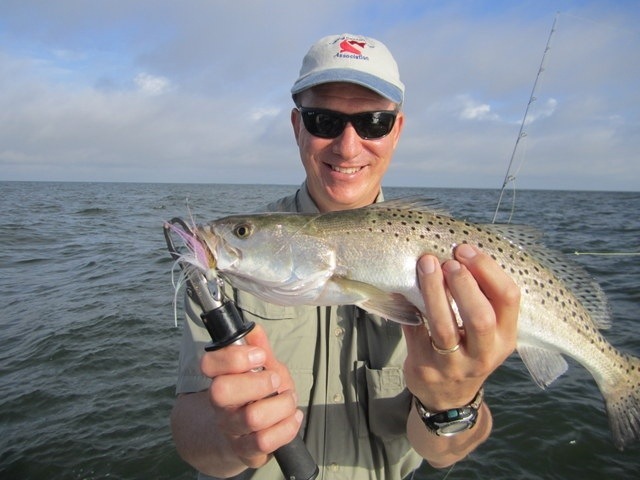 Speck catches have slowed a bit of late but the size has been exceptional. 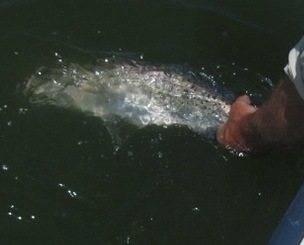 We boated a 27-inch beauty yesterday that tail-walked right by the boat. 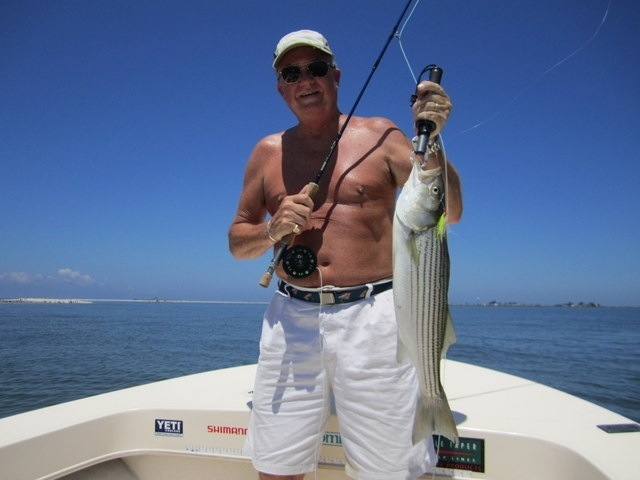 What a sight! 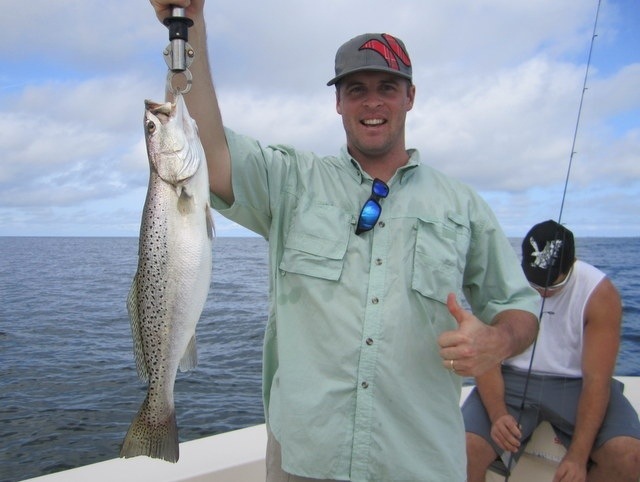 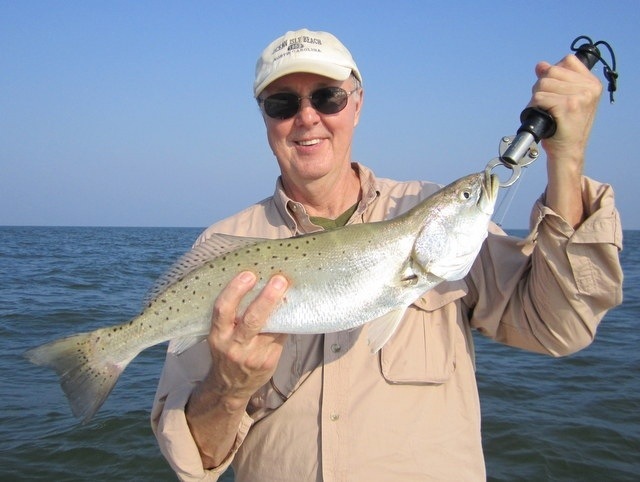 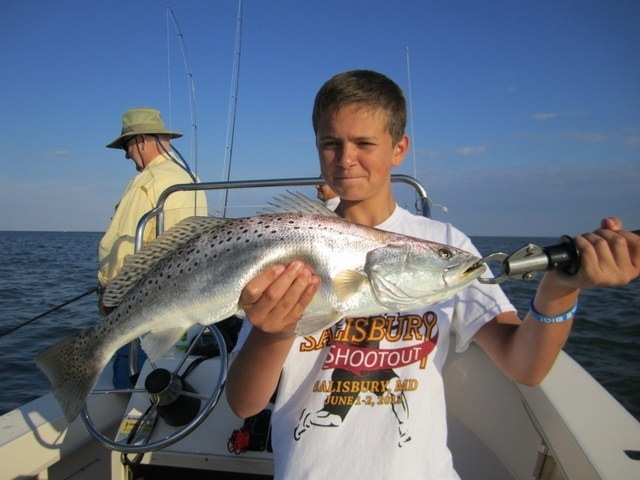 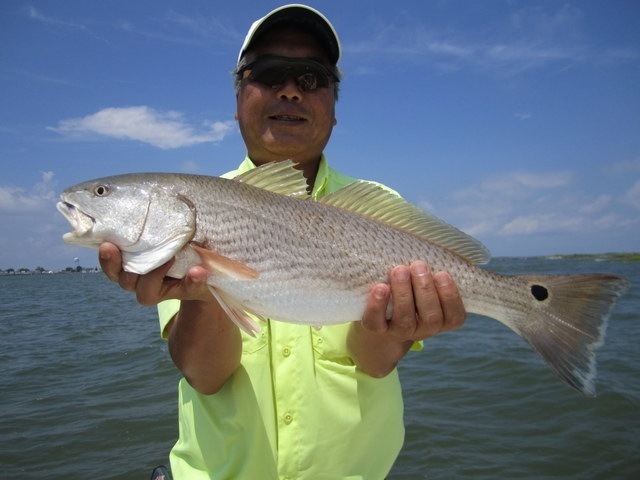 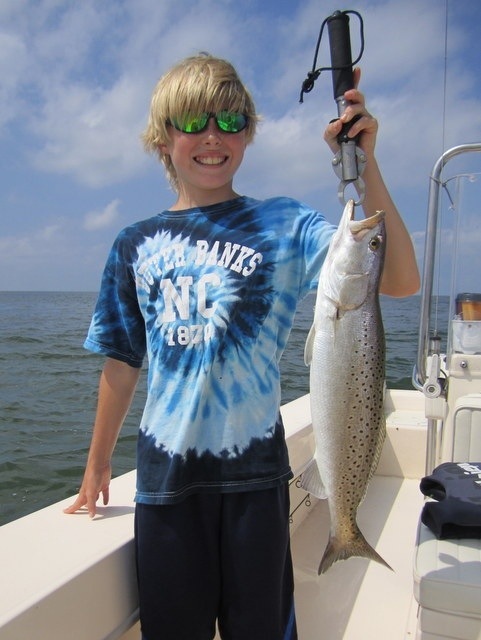 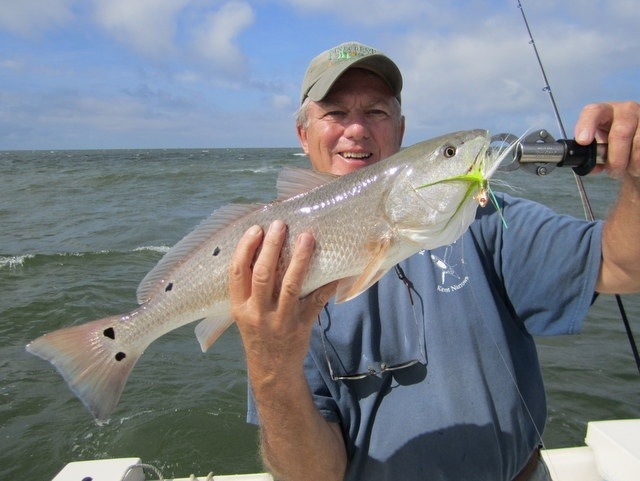 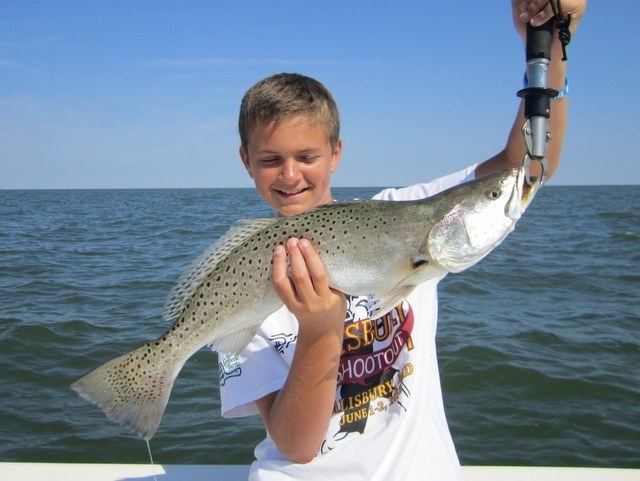 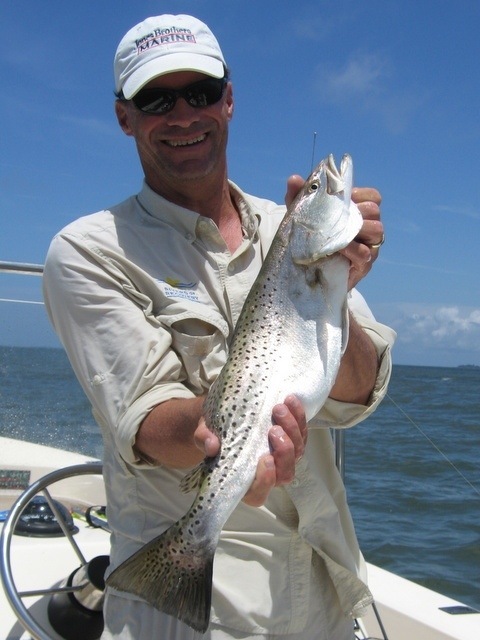 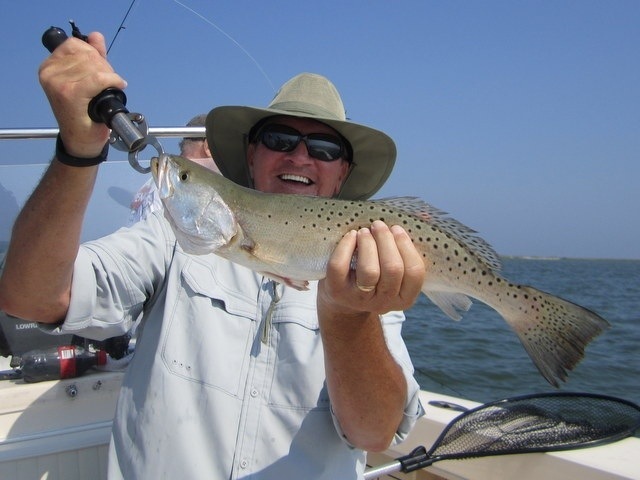 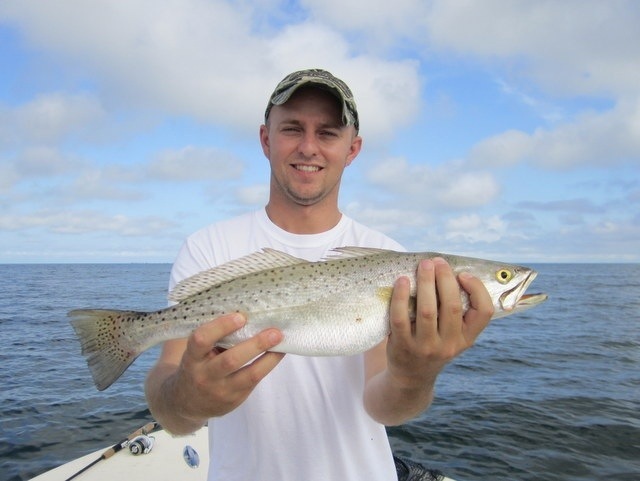 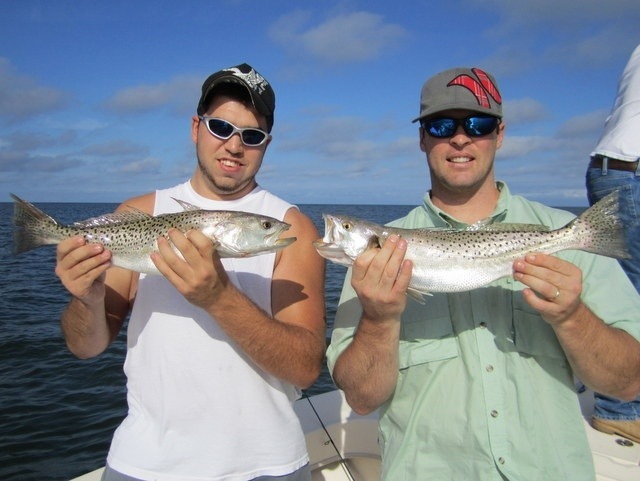 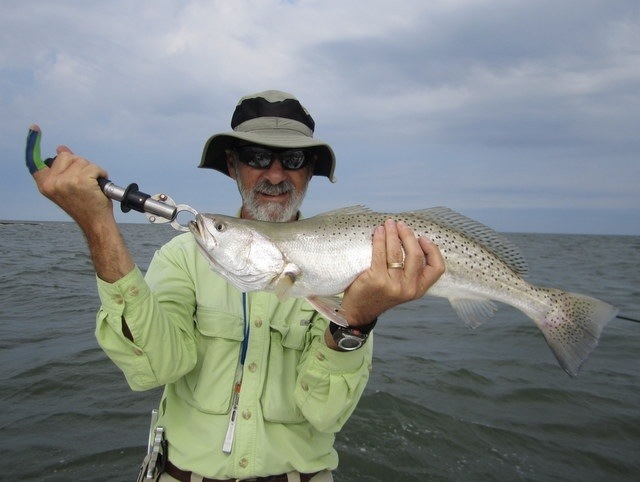 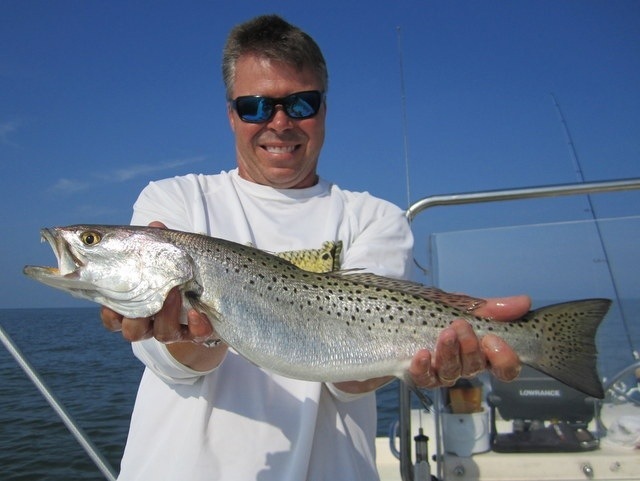 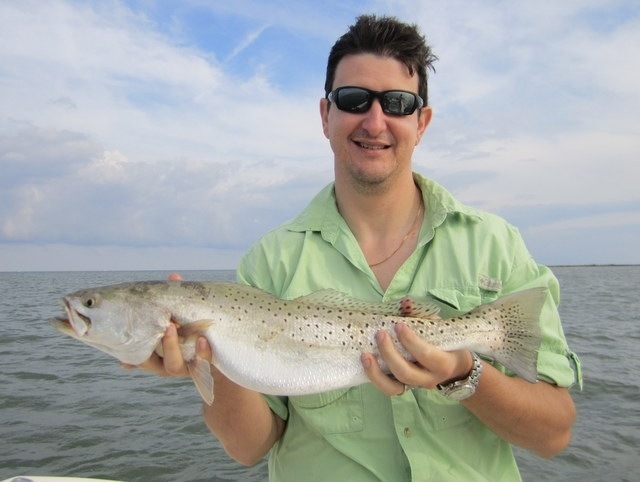 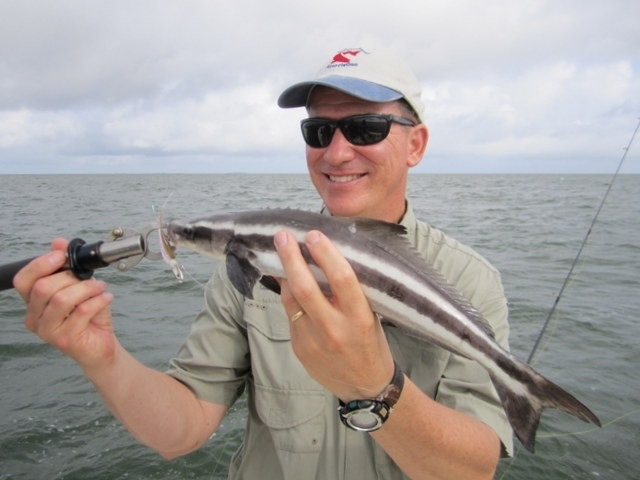 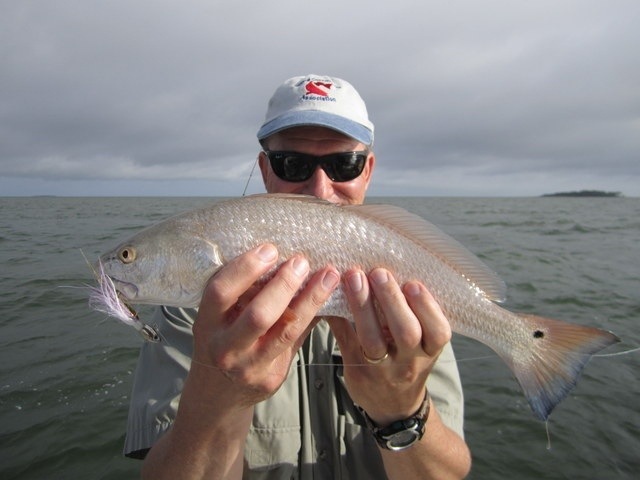 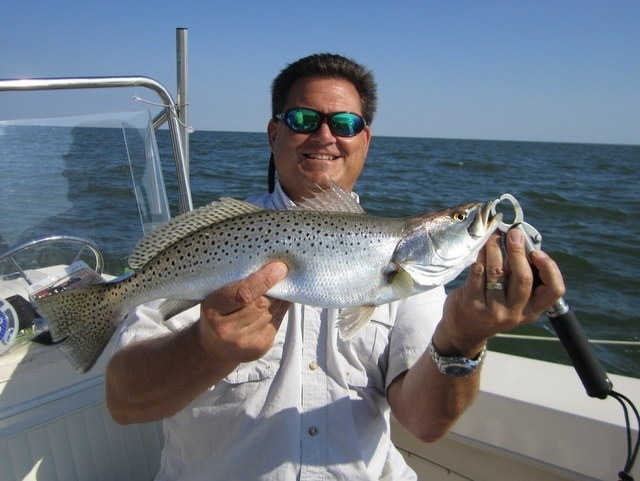 Throw in a mix of schoolie rockfish, reds, bluefish and flounder and we are catching plenty to keep anglers happy. 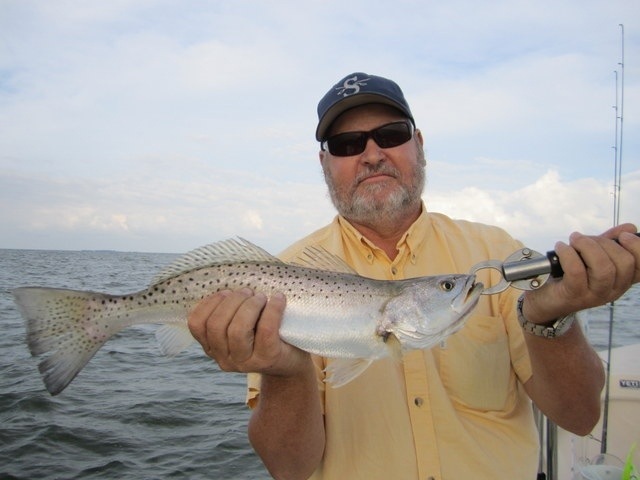 The Li’l Jimy bucktail jig is still going strong. 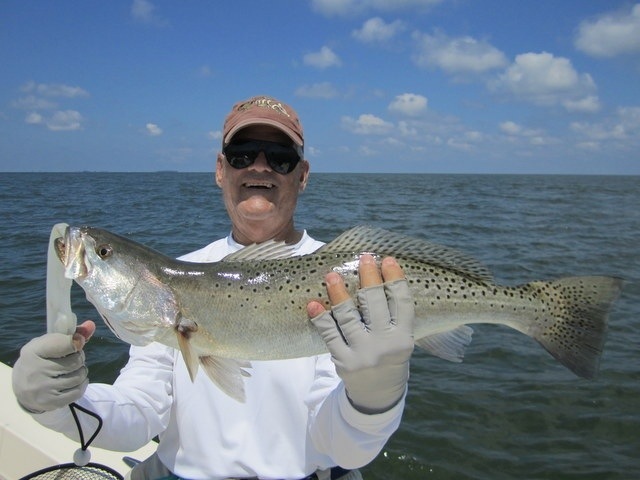 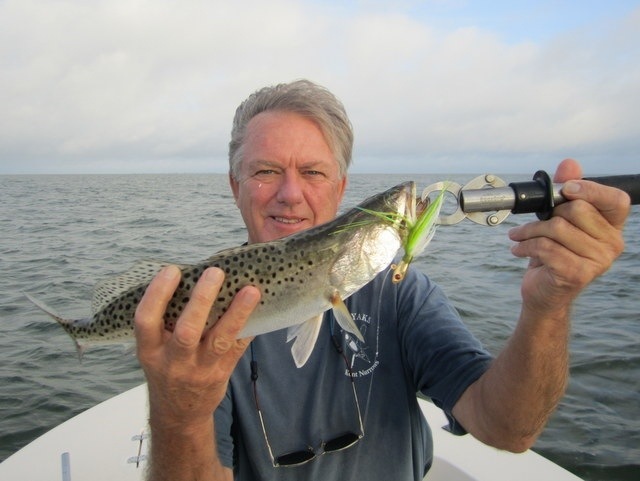 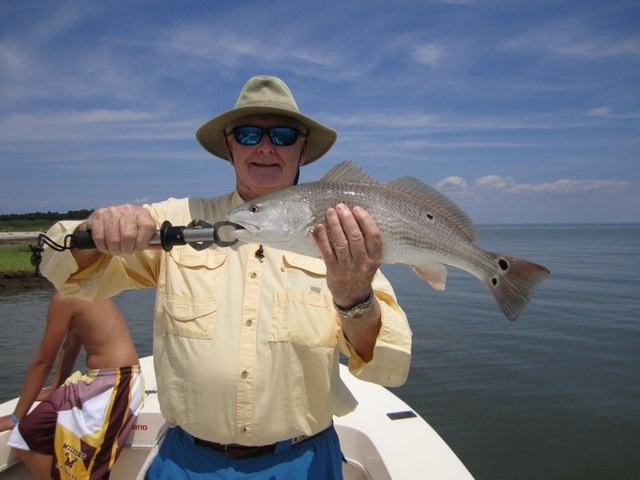 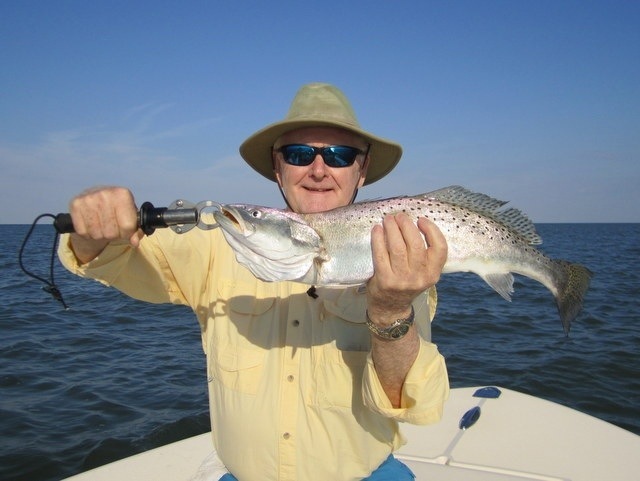 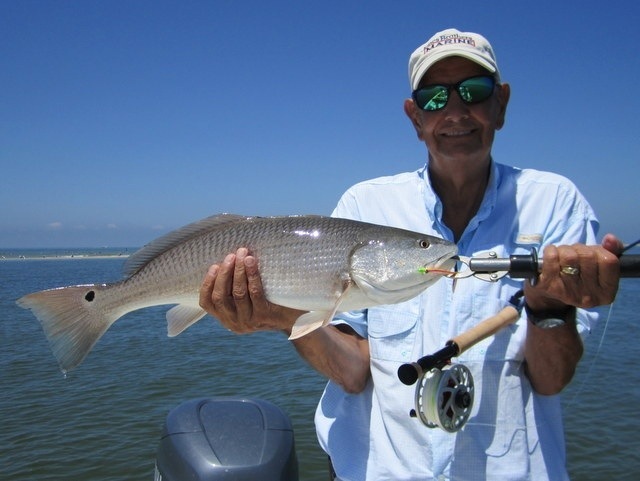 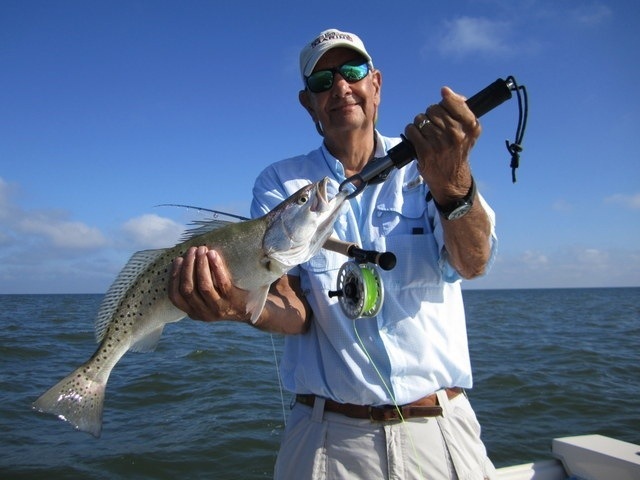 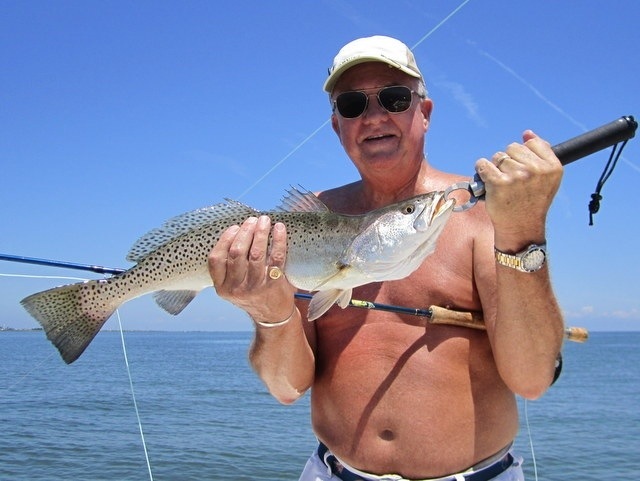 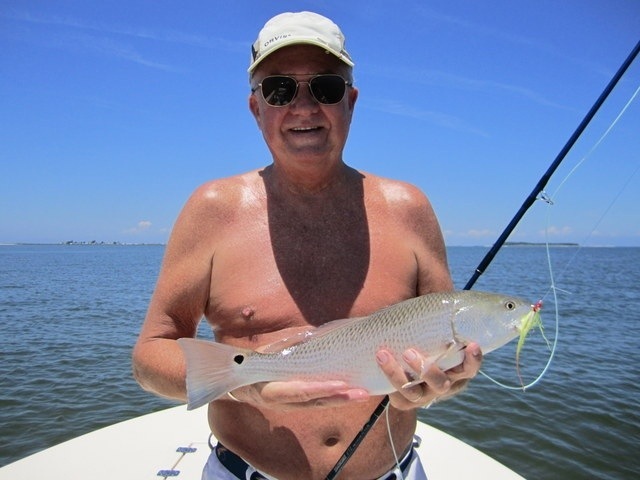 Li’l Jimy creator George Lenard and friend Dave Gedra hammered home this point on a recent outing to Tangier Sound aboard my Jones Brothers Cape Fisherman.